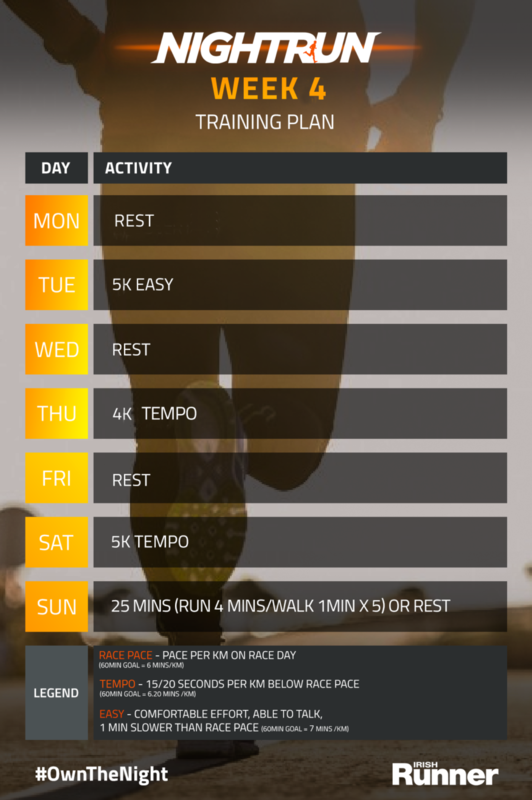 Here is Week 4 of our Night Run Dublin training plan. You’re a month in, how you are getting on? Less than 5 weeks to go now!